Wujin Chu is Professor of Marketing. He graduated from Seoul National University with a BA in business administration and the Wharton School with a PhD in marketing. After graduating from Wharton he had joined MIT as Assistant Professor and later, UC-Berkeley as Visiting Associate Professor. Professor Chu’s primary research interest is in application of economic models to marketing phenomena, particularly in channels of distribution. He has also been active in conducting research in inter-firm trust in the global auto industry. He has published numerous articles in Marketing Science, the Journal of Marketing, the Journal of Marketing Research, Organization Science and the Journal of International Business Studies. In 2003, he was cited by the Journal of Marketing Education as the second-ranked professor in the Asia Pacific region in terms of research performance. Also in 2010, he was selected to receive the JIBS Decade Award, which is given to the most influential paper published in JIBS ten years after publication, for his paper on the global automobile industry. 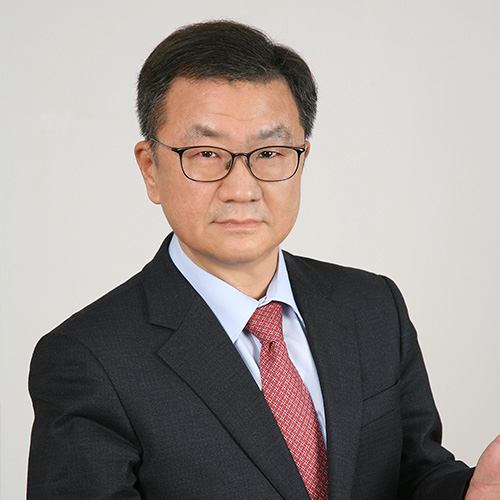 Professor Chu has also consulted top Korean companies such as Samsung Electronics and Hyundai Motors. He is also advisor to the Ministry of Knowledge and Economy on their national R&D strategy. MA in Managerial Economics, Wharton School, University of Pennsylvania? Jaewon Hwang and Wujin Chu (2019), The Effect of Others’ Outcome Valence on Spontaneous Gift-Giving Behavior: The Role of Empathy and Self-Esteem, European Journal of Marketing, forthcoming. Jeongmin Lee, Jisu Yi, Dawon Kang, Wujin Chu (2018), “The Effect of Travel Purpose and Self-Image Congruency on Preference toward Airline Livery Design and Perceived Service Quality,” Asia Pacific Journal of Tourism Research. 23(6), 532-548. Wujin Chu, Chris Baumann, Hamin Hamin, Susan Hoadley (2018), “Adoption of environmentally friendly cars: direct vis-a-vis mediated effects of government incentives and consumers’ environmental concern across global car markets,” Journal of Global Marketing., 30(1), 637-660. Hume Winzar, Chris Baumann, Wujin Chu (2018), "Brand competitiveness: introducing the customer-based brand value (CBBV) - competitiveness chain", International Journal of Contemporary Hospitality Management, 30 (1). Jeongmin Lee, Bohee Jung and Wujin Chu (2015), Signaling Environmental Altruism through Design: The Role of Green Cue Prominence in Hybrid Cars, International Journal of Design, 9 (2), 79-91. Wujin Chu, Minjung Roh and Kiwan Park (2015), The Effect of the Dispersion of Review Ratings on Evaluations of Hedonic Versus Utilitarian Products, International Journal of Electronic Commerce, 19(2), 95-125. Wujin Chu and MinjungRoh (2014), Exploring the Role of Preference Heterogeneity andCausal Attribution in Online Ratings Dynamics, Asia Marketing Journal, 15(4), 1-41. Wujin Chu, EunsooBaek and KyungpyoKo (2013), Jeju Air: Branding of a K-Pop Airline, Asia Marketing Journal, 14(4), 189-207. Wujin Chu, MeeRyoung Song and Bum June Choi, (2013), Post-Purchase Disadvantages of a Less-Preferred Brand And How They Can Be Overcome: An Examination of Regret and Attribution, Journal of Applied Social Psychology, 43(4), 887-898. Hyunkyu Jang and Wujin Chu (2012),Are Consumers Acting Fairly Toward Companies-An Examination of Pay-What-You-Want Pricing, Journal of Macromarketing, 32(4), 348-360. Wujin Chu, MeejaIm andHyunkyu Jang (2012), Overconfidence and Emotion Regulation Failure: How Overconfidence Leads to the Disposition Effect in Consumer Investment Behaviour, Journal of Financial Services Marketing, 17, 96-116. Jeff Dyer and Wujin Chu (2011), The Determinants of Trust in Supplier-automaker Relations in the US, Japan, and Korea: A Retrospective, Journal of International Business Studies, 42, 28-34. Anne Coughlan, S. Chan Choi, Wujin Chu et al (2010), “Marketing Modeling Reality and the Realities of Marketing Modeling,”Marketing Letters, 21(3), 317-333. Wujin Chu and Hyunsik Kim (2006), “Online-offline Channel Conflict: A Game-theoretic Model with Application to the Automobile Industry,”International Journal of Automotive Technology and Management, 6, 1, 20-44. Wujin Chu, Beomjoon Choi, and MeeRyoung Song (2005), “The Role of On-line Retailer Brand and Infomediary Reputation in Increasing Consumer Purchase Intention,” International Journal of Electronic Commerce, 9, 3, 115-127. Jeffry H. Dyer and Wujin Chu (2003), “The Role of Trustworthiness in Reducing Transaction Costs and Improving Performance: Empirical Evidence from the United States, Japan and Korea,”Organization Science, 14, 1, 57-68. Jeffrey Dyer and Wujin Chu (2000), “The Determinants of Inter-Firm Trust in Supplier-Automaker Relationships in the U.S., Japan and Korea,”Journal of International Business Studies, 31, 2, 259-285. Wujin Chu, Eitan Gerstner and Jim Hess (1998), “Managing Dissatisfaction: How to Decrease Customer Opportunism by Partial Refunds,”Journal of Service Research, 1(2), 140-155. Wujin Chu and Paul Messinger (1997), “Information and Channel Profits,”Journal of Retailing, 73(4), 487-499. Jeffrey Dyer, Dong Sung Cho and Wujin Chu (1997), “Strategic Supplier	Segmentation:The Next Best Practice,”California Management Review,40(2), 57-77. James Hess, Wujin Chu and Eitan Gerstner (1996), “Controlling Product Returns in Direct Marketing,” Marketing Letters, 7(4), 307-317. Wujin Chu and Preyas Desai (1995), "Channel Coordination Mechanism for CustomerSatisfaction,” Marketing Science, 14 (4), 343-359. Dong-Sung Cho and Wujin Chu (1994), "Determinants of Bargaining Power in OEM Negotiations," Industrial Marketing Management., 23, 343-355. Wujin Chu and Woosik Chu (1994), "Signaling Quality by Selling Through a Reputable Retailer: An Example of Renting the Reputation of Another Agent,"Marketing Science , 13 (Spring), 177-189. Eitan Gerstner, James Hess and Wujin Chu (1993), "Demarketing as a Differentiation Strategy," Marketing Letters, 4, 49-57. Wujin Chu (1992), "Demand Signalling and Screening in Channels of Distribution,"Marketing Science , 11 (Fall), 327-347. Wujin Chu and Erin Anderson (1992), "Capturing Ordinal Properties of Categorical Dependent Variables: A Review with Application to Modes of Foreign Entry," International Journal of Research in Marketing, 9, 149-160. Anderson, Erin M., Wujin Chu and Barton A. Weitz (1987), "Industrial Purchasing: An Empirical Analysis of the Buyclass Framework," Journal of Marketing, July, 51, 77-86. 임미자, 주우진 (2019). (2019). 소비자의 참을성 성향이 친환경제품 구매 및 소비 행동에 미치는 영향 연구. 마케팅연구 (게재확정). 송미령, 주우진, & 임미자. (2018). 한국 전기차 시장의 소비자 특성 분석. 경영학연구, 47(2), 271-306. 노민정, 주우진 (2018), “관계의 유대지향성 및 자기표현성향이 구전활동에 미치는 영향”, 한국콘텐츠학회논문지, 제18권 제3호. 주우진, 임미자, 송미령 (2017), “전기차 구매의사 영향요인에 대한 문헌 리뷰 및 실증분석: 소비자 심리적 특성 변인의 영향을 중심으로,” 소비자학연구, 제28권 6호. 주우진, 노민정 (2012), “소비자의 가치 추구 동인이 블로그 리뷰의 신뢰성 지각에 미치는 영향:유대강도에 따른 조절효과를 중심으로,”한국마케팅저널 제13권 4호. 김한구, 정보희, 주우진 (2011), “명화에서 유발된 감정이 차용된 제품과 제품속성 평가에 미치는 영향,”한국마케팅저널, 제13권, 2호. 주우진, 임미자 (2011), “서비스 & 제품 묶음상품의 공정성 지각 제고를 위한 가격인상 제시 전략,”마케팅연구, 제26권 2호. 주우진, 정보희, 김한구 (2010), “명화 차용 형태가 제품 태도에 미치는 영향에 관한 연구: 제품 유형에 따른 차이를 중심으로,” 소비자학연구, 제21권 4호. 임미자, 주우진, 이은주 (2010), “투자 행동에서의 성별효과 연구: 남.여 투자자의 감정반응 및 감정조절을 중심으로,” 소비자학연구, 제21권 4호. 주우진, 임미자 (2009), “주식투자의 정서적 예측과 투자성과 간의 관계: 전문투자자와 일반투자자의 비교 분석,”마케팅연구, 제24권 2호, 131-149. 주우진, 노민정 (2009), “리뷰수, 분포, 편중이 쾌락적 및 실용적 상품의 태도 및 구매에 미치는 영향에 관한 연구: 디지털 상품을 중심으로,”마케팅연구, 제24권 1호, 109-143. 주우진, 황희중(2008), "후회경험과 예상후회가 구매의사결정에 미치는 영향 - 후회의 감정을 최소화하기 위한 소비자의 의사결정고려요인과 거래경험의 조절적 역할을 중심으로 -," 소비자학연구, 제19권 2호, 215-246. 주우진, 김현식 (2004), "소비자 정보 획득을 위한 정보 중간상의 신호전송 행태에 관한 연구,”마케팅연구, 제 19권, 2호. 주우진, 김현식, 송미령 (2004), "자동차 A/S 부품 유통에서의 정보 비대칭성에 관한 연구,”경영논집, 제 38권, 4호. 주우진, 김현식 (2002), "저비용 온라인 유통채널 도입시의 채널갈등 관리방안에 대한 연구,"마케팅연구, 제 17권, 3호. 최범준, 송미령, 주우진 (2002), "인포미디어리의 사용과 브랜드가 온라인상에서 소비자의 구매의도에 미치는 영향에 관한 연구,"소비자학연구, 제13권, 2호. 안상형, 주우진, 곽태우 (1999), "전자마케팅 포지셔닝 전략에 관한 실증 연구,"경영정보논총, 제9권, 12월. 주우진, 전종근 (1999), "포철의 고객성공운동,"마케팅연구, 제 14권 2호, 175-188. 주우진(1994), "신세계 E-마트:합리적인소비문화창조와유통근대화의선구자," 경영사례연구, 제28권 1호.